Stinchcomb picked Alabama at No. 5 with the views that there are still question marks over the type of offensive line the Crimson Tide will put out this coming season, with only senior Ryan Kelly and sophomore Cameron Robinson being the two highlighted returners from the last campaign. At No. 4 he selected Arkansas, who was not in his preseason rankings a year ago. Nevertheless, despite being at No.4 and ahead of Alabama, Stinchcomb still thinks the Razorbacks, who he said “were a better protectors and pushers” during the last term, still has some work to do, especially against some of the top teams in the conference. Sitting at No. 3 are LSU, but Stinchcomb made this pick on the views that the Tigers will improve on the numbers they put up on offense during the recent term when they barely pass the ball. Although they are returning just four starters in that offensive line from last season, Auburn picked up the No. 2 ranking. 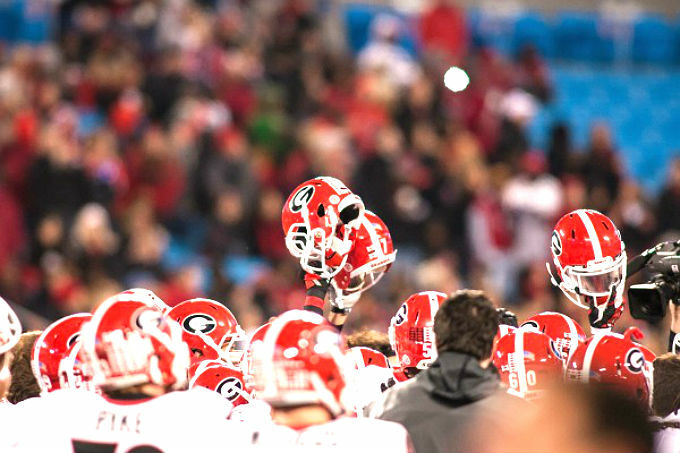 And as expected, Stinchcomb selected Georgia as the team with the best offensive line in the SEC for the 2015 season, despite the departure if star center David Andrews. The Bulldogs, who had the top scoring offense last season will return the likes of Greg Pyke, and John Theus, who are expected to pick up from where they left off a year ago. Tennessee has to face that Arky line a week before they face ours. We have to face the Bama line a week before facing Tennessee.